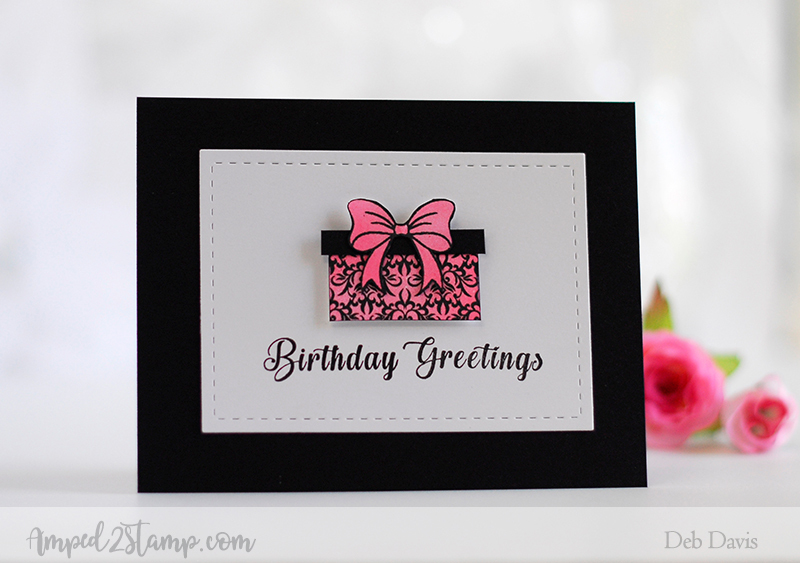 This NEW Elegant Gifts stamp set is so really a lot of fun to make all kinds of gift packages with. You can't buy this set until it officially releases in March but you can get it for FREE this month with a qualifying purchase at Whimsy Stamps. 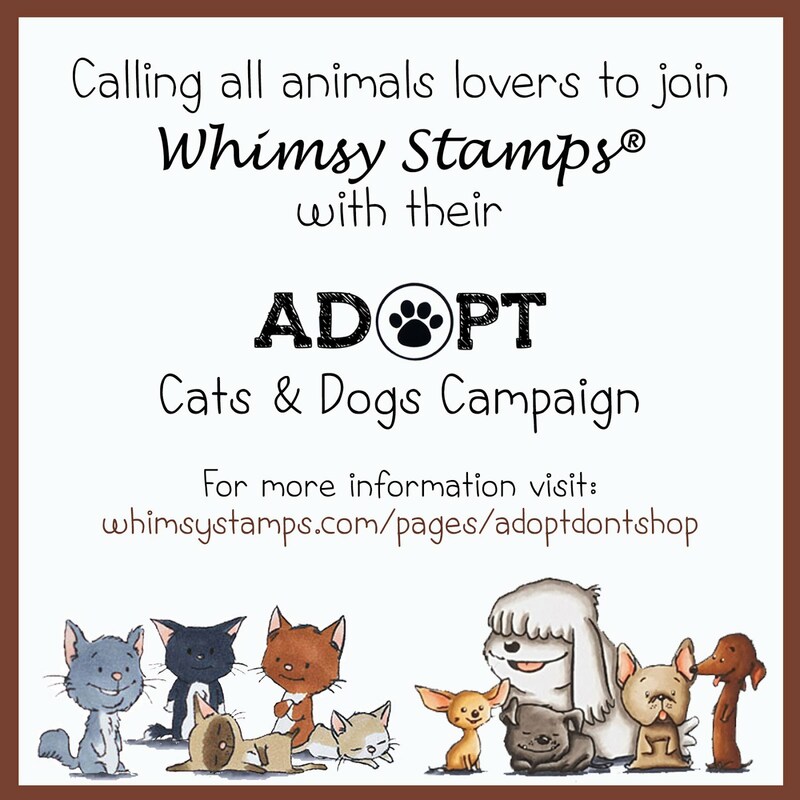 If you haven't heard about Whimsy's CAS (Customer Appreciation stamp Set) program you've been missing out on FREE stamps - yikes! Be sure to check it out every month because there is a different offering with every new release. 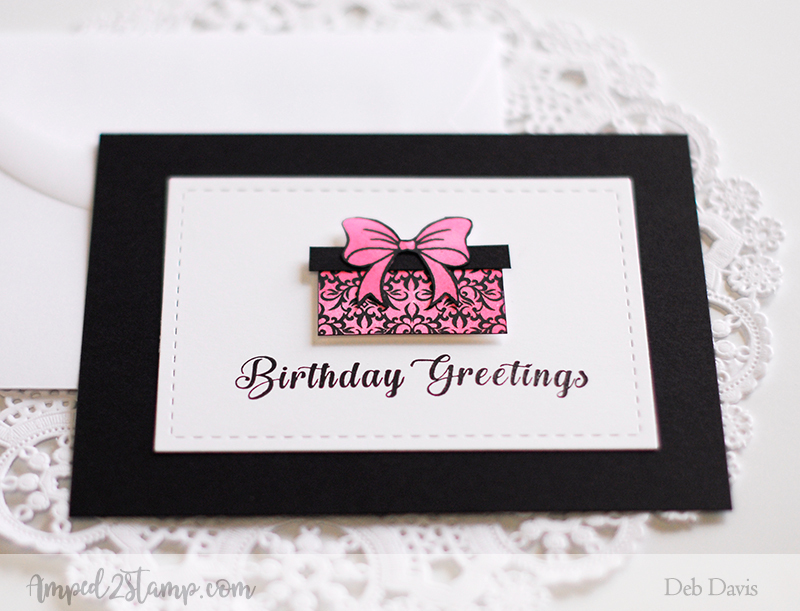 I did the same with the bow, stamped the solid bow with pink ink and the outline with black ink. 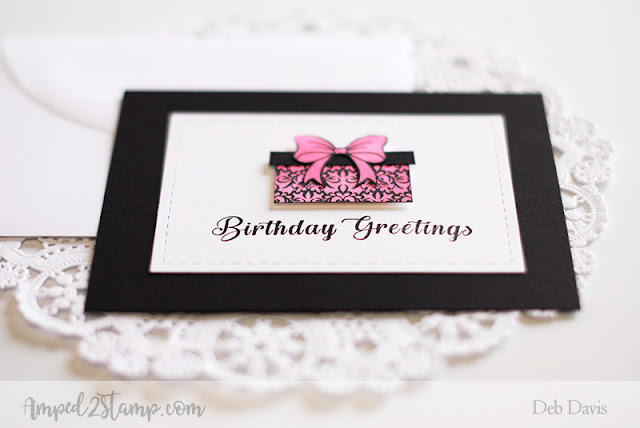 The sentiment was also stamped with Versafine black ink. The solid box top was stamped stamped in black ink too and I cut everything out by hand...rectangles are super easy too cut ;). 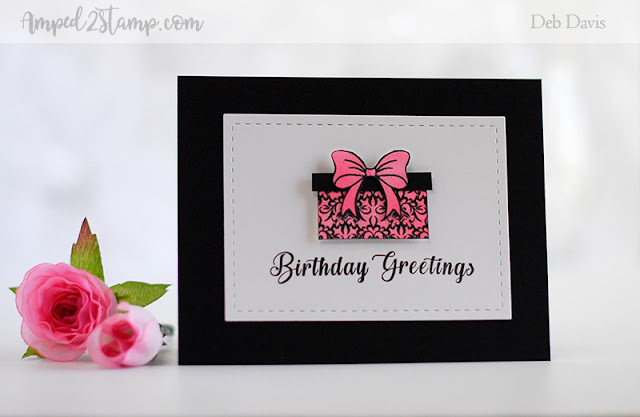 I popped up both the white stitched frame and the gift wrapped package with foam tape and mounted onto a black card base.